The only challenge to this — and any other sudden Persian movement with regard to potential strategic partnering — is the innate conservatism of the Iranian clerics, who are resistant to sudden change and who are preoccupied with attempting to balance between Islam and Persian historical identity. There is a gradual movement in favor of restored Persian identity. 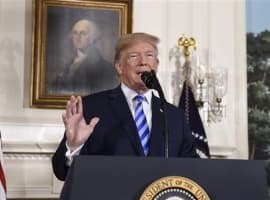 But even before the question of how the US will attempt to deal with Iran is the question of how Washington must deal in the short-term with urgent and emerging challenges which it cannot avoid in Afghanistan and Pakistan. Indeed, dealing with these problems before facing the rhetoric-laden debate on US participation in the 2015 Five+One deal with Iran may give Washington time to analyze options and desirable goals with regard to Iran with less pressure. Because pressure against the clerics, as Homayoun notes, would only galvanize internal support for them, whereas the opening of Iranian society would weaken the grip of the mullahs. The incoming US Administration of Pres. 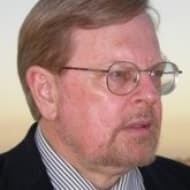 Donald Trump was elected on the basis of a major transformation of domestic and international policy and attitudes, and it is probable that this transformation will, in large part, be delivered. Given the global US strategic dominance — despite the substantial decline of the past decade — it is this change of context which the rest of the world’s states will have to consider in restructuring their own planning. And how Washington considers these changes will in part be based on the worldview of the incoming President, moderated by the team he has entrusted to implement his views, and constrained by the existing bureaucracy. Within this framework, evolving US strategic policy in the Northern Tier states — Turkey, Iran, Iraq, Afghanistan, and Pakistan — is likely to take significant new turns early into the term of the Trump Administration. 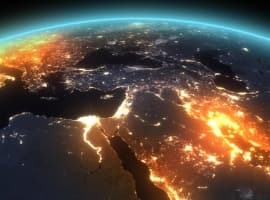 Several, separate catalyst issues are coming to a head in each of these states, but the reality is that they are also inextricably intertwined with the evolving strategic framework involving Russia, Syria, the People’s Republic of China, the Central Asian states, the Arabian Peninsula and Red Sea states, India, and so on. The US, since the end of the Cold War, has dealt with each of these issues separately, or at best in the perspective of stovepiped regions, for the most part to the detriment of an overarching US global strategy. The Cold War perspective was at least global: it had forced the necessity to view regional issues within the context of the global East-West ideological competition. Now, within the emerging global framework, an anticipated, imminent collapse of security and stability in Afghanistan now seems likely to become of major preoccupation. It will require a military and political response early in the Trump term. This is likely to highlight the failure of the former Barack Obama Administration’s Afghanistan strategy of neglect and political misdirection, as well as highlighting the fact that there had been no sense of a broader framework in US strategic and foreign policy for the overarching Northern Tier region. Significantly, the failures of the Obama reactive (or neglectful) policies with regard to Afghanistan and Pakistan highlight the reality that the new crisis would most efficiently, of necessity, require a very new approach, possibly one which is not solely based on direct military projection. Here, ironically, the governments of Afghanistan and Pakistan have common cause in bringing nuance to the new US approach to the region, given that the military-dominated strategies since 2001 have been both expensive and limited in success. Afghanistan and Pakistan have had a tenuous record of cooperation in recent years. Related: Has Big Oil Bought Into The Oil Price Recovery? Of key importance in evaluating what could happen is the reality that the team put in place thus far by Pres. Trump is heavily focused on relatively narrow options driven from the perspective of the US military and intelligence communities. And the intelligence community (IC) approach to Afghanistan and Iraq — and therefore Pakistan — has been itself driven by a covert, or less formal, kinetic doctrine; the US IC has, in many respects, moved away from an actual intelligence-driven function in support of strategic decision making. This limits the Trump White House’s options. And it has made it vulnerable to the landmines left by the outgoing US Administration, specifically designed to make successful outcomes in the Northern Tier difficult to achieve. This is quite apart from the ideological impediments caused by the Trump election’s own campaign rhetoric which seemingly eliminated the option of seizing opportunities to transform the situation in Iran. The Obama Administration — in its final days after the elections of November 8, 2016, repudiated the Obama strategic policy — undertook a number of actions which were designed specifically to hinder the Trump Administration from reversing the Obama policies in the Eastern Northern tier: South Asia. Sources indicate that the surreptitious — and largely unreported — action by the outgoing US Administration of Pres. Obama on New Year’s Eve, 2016, to impose sanctions against seven Pakistani State and private entities allegedly linked to the country’s nuclear program was designed to make it difficult for the incoming Trump Administration to respond through Pakistan to the growing crisis in neighboring Afghanistan. It was not known whether the new Trump Administration had yet focused on the Pakistan sanctions, although the competency of the incoming US Defense Secretary, Gen. (rtd.) James Mattis, in the area — along with the regional knowledge of National Security Advisor Lt.-Gen. (rtd.) Michael Flynn — meant that the situation would likely be reviewed sooner rather than later. The Obama sanctions were designed to give the appearance of US concern over Pakistan’s nuclear program, something the Obama Administration did not publicly stress or act upon during its eight years in office. Indeed, there were no indicators of any new activity in the Pakistani program in recent years which threatened either regional stability or US interests, and which warranted 11th hour punitive action before Pres. Obama left office. Strained US-Pakistani relations — which harmonizes with the mantra of hostility toward Pakistan driven by Indian-led Afghani approaches of the past decade — suit the People’s Republic of China (PRC) and Russia. Now, removal of the Obama sanctions by the Trump White House would likely cause an outcry by India, thereby jeopardizing the Trump Administration’s relations with New Delhi, even though leaving Pakistan to its PRC options (and the gradually increasing relationship between Islamabad and Moscow) is not really in India’s strategic interests. And the PRC has, indeed, been committing heavily to the US-Pakistan friendship pause by building its dominance over the Pakistani Baluchistan Port of Gwadar and links overland to China through the Karakoram Highway. [India has attempted to compete with that by its own commitment to building and managing the port of Chah Bahar in Iranian Baluchistan, with new rail links moving up to connect to Central Asia and the Western border of Afghanistan. Significantly, the Arabian Sea, then, is “in play”, and with it the PRC’s strategic logistical framework, as it is in Africa and the Caribbean. See, for example: “Ugandan Unrest Jeopardizes Beijing’s Logistics Plans”, in Defense & Foreign Affairs Special Analysis, January 25, 2017. Iran’s pivotal and historical geopolitical position in the equation needs to be dealt with in a separate report, but here it is necessary to note that Pakistan’s significant remaining option would be to continue to rebuild trust with neighboring Iran, and this is something which seems likely to occur over the coming year and more. This is particularly the case, bearing in mind the growing distance between Pakistan and its erstwhile financial supporter, Saudi Arabia (which in many respects mirrors the separation now occurring between Saudi Arabia and Egypt). See, particularly: “How the Saudi Rift With Egypt is Spiraling out of Control”, in Defense & Foreign Affairs Special Analysis, January 24, 2017. In all of this, Pakistan remains a central element, controlling as it does not only viable overland access to Afghanistan, but also dominating the Arabian Sea/Gulf of Oman Indian Ocean access to and from the Persian Gulf. So the landmines placed by the outgoing US Obama Administration with regard to Pakistan are strategically significant. (1) Ahad International, Suite 5-6, 2nd Floor, Empress Tower, Empress Road, Lahore, and 2nd Floor, Nomro Centre, Badami Bagh, Lahore. (2) Air Weapons Complex (AWC), E-5, Officers Colony, Wah Cantonment. (3) Engineering Solutions Pvt. Ltd., 726, G-11/2, Ibne-Sina Road, Islamabad. (4) Maritime Technology Complex (MTC), Plot 94, Karachi, and MTC System Division, PN Dockyard, Karachi. (5) National Engineering and Scientific Commission (NESCOM), Plot 94, Sector H-11/4, Islamabad. (6) New Auto Engineering (NAE), 72, Industrial Area, Peshawar Road, Rawalpindi. (7) Universal Tooling Services, aka, the following three aliases: Forward Design and Manufacturing, MSM Enterprises and Technopak Engineering Deen Plaza, 68/62, Adamjee Road, Saddar PO Box 1640, GPO Rawalpindi; G-7, Nimra Centre 7, Badami Bagh, Lahore; 31/B Faisal Town, Lahore, Punjab; and Model Town, HMC Road, Taxila. The US Department of Commerce said that the organizations had been added to the US Export Administration Regulations (EAR) list, and “have been determined by the US Government to be acting contrary to the national security or foreign policy interests of the United States”. Perhaps a significant question should be to determine what motivated the sanctions. Clearly, it was not business-as-usual; nor was it something which arose suddenly. The timing and manner in which the sanctions were applied — after the November 8, 2017, elections and in a period when news coverage of such issues in the US is muted because of the holiday season, and just prior to the end of an Administration — implied a discreet political, rather than strategic, motive, as well as the domestic political agenda in the US to disrupt the incoming Administration. 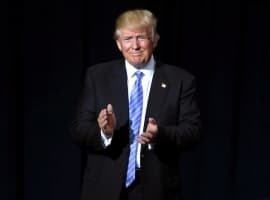 In dealing with Afghanistan and Pakistan, the Trump Administration may be better placed than its predecessor Government to take a clean-sheet approach, identifying the entire history of US-Pakistani relations and why problems occurred when Washington urged Pakistani leaders to undertake actions which Pakistan deemed were not in the longer-term interests of both Pakistan and the US. Pres. Trump’s view that all states have the right to act in their own interests first may make a more balanced dialog possible with Pakistan going forward. With regard to the Afghanistan end of the equation — where the tenuous writ of the Kabul Central Government is now being challenged — the US must almost immediately consider its position. With that, the coalition allies of the US must also review their commitment to “saving” the geopolitical unity of the state. - US intelligence has had one overriding weakness in the conduct of the war against the Taliban and jihadists in Afghanistan as far as key Afghan officials are concerned. It is that the US intelligence community (IC) allied itself with the same people who were the major players in the Afghan civil war in the 1990s and who did not represent a majority of the country. The only major Pashtun group with which the US intelligence community allied itself was the extended family of former Pres. Hamid Karzai. And the civil war was the reason the Taliban came into existence. The Taliban was a reaction to the injustices being committed by the same players the US IC sought to use. Many of the Taliban were members of the mujahedin from the 1980s but they were not mujahedin. Originally, most Taliban were Pashtun, but that has changed. Due to the empowerment of criminals by the US in the Afghan Government, the non-Pashtun populations have allied more and more and joined the Taliban as well as, now, with DI’ISH (ISIS). Concerned and informed Afghan officials have told GIS/Defense & Foreign Affairs that there must be a reset within the US intelligence community and new blood brought in to work with groups who the old guard would not work with. People need to be given authority who do not have a significant alliance with the warlords who helped in the post- 9/11 invasion or with the Karzai clan. The primary reason that these counter-productive relationships began the tool of US projection is connected to the reality that the US intelligence community in Afghanistan was (and is) being staffed mostly by former US Special Forces personnel and not strategic intelligence types. - Former Pres. Hamid Karzai allied with only one of the two major wings of the Pasthun tribe, thus pushing the other wing towards the Taliban. A large swath of Taliban recruits and regional victories came from territories from the branch on which Karzai turned his back. Using competent and capable regional experts to start a strategy of winning over the tribes would be a major coup. The ability to turn the tribes against foreign influence as well as providing them with the tools to secure their own territory — thus reducing the need for a massive central government — would start a swing in the direction of restored stability. - Pres. Ghani is keen to push an anti-corruption agenda. But he has some challenges with which he needs assistance. For example there are elements within his government who he has been told by the US Government are corrupt and that he must remove them. But he cannot do so at the mere suggestions of wrongdoing even though he knows they are corrupt. He needs to have solid information which the US has been unwilling to share. If given proof, he will deal with at least a portion of the corruption. Others who need to be removed are too powerful and connected to the Karzais, Dostums, and Noors of Afghanistan. For these there needs to be some sort of overt push from the US to provide him with top cover to take action. Otherwise he will quickly be faced with elements who will attempt to destabilize the country. The incoming Trump Administration has some strong skills in its leadership team on Afghanistan, Iraq, and Pakistan, but also carries with it some of the baggage which these players inherited in shaping the Afghan situation in the first (post 9/11) rounds. The Trump team will be looking for low-cost, rapid-effect actions to remedy the years of drift and decline which characterized the Obama commitment to the region. The question will be whether the new team takes the time to do a clean-sheet analysis which weighs the earlier experiences, begins defining what would exemplify “victory” as far as US strategic objectives are concerned, and how best to re-shape the region. There is little doubt that this would need to include looking at the successful management of the region during the Richard Nixon Presidency (1969-74), and how a stable Iran helped ensure a stable Afghanistan. And also to ask why Nixon’s successful balancing of the region — and his innate respect for the major players there — gave way to partisanship and decline, culminating in Pres. Jimmy Carter’s destruction of Iranian stability in 1978-79. That paved the way for the world today, and for putting the Northern Tier in play again.